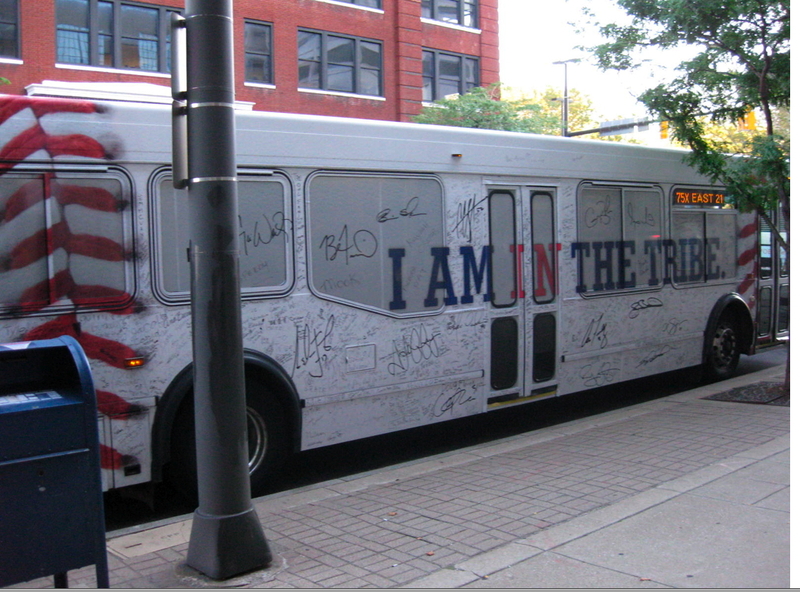 I've seen these buses all over town and I never have a sharpie on me ready to go. I suppose it's probably not a good idea to attach a bunch of the markers on chains like they do with pens at the bank and the post office. Standing on a corner would be like standing next to Rick James on a dance floor during his braids and beads phase. Whoever it was who talked the city into going along with this is a genius. I can just hear the chorus of "We can't ALLOW this. It will encourage graffiti, vandalism and bring on the decline of Western values!!!!!???" Please end your love affair with Brokaw. Yes, they consistently produce great work, but there are other great agencies out there, too, that you hardly ever plug. we need more clients in the world who will buy ideas like these. fantastic work. Chris, it's easy. Just send it and if we like it (or hate it) we're happy to write about it. KUDOS INDIANS & BROKAW! GREAT WORK!